ProductSecure - One stop solution for brand protection | PharmaSecure’s innovative solutions were originally proven in the Pharmaceutical industry, protecting patients from the threat of counterfeit medicines. 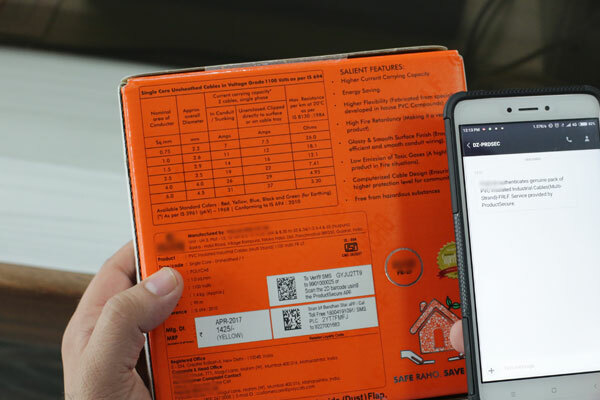 Our Vision is to protect products against counterfeiting by uniquely identifying each pack sold using our patented Unique code generating algorithm to ensure each pack is unique. 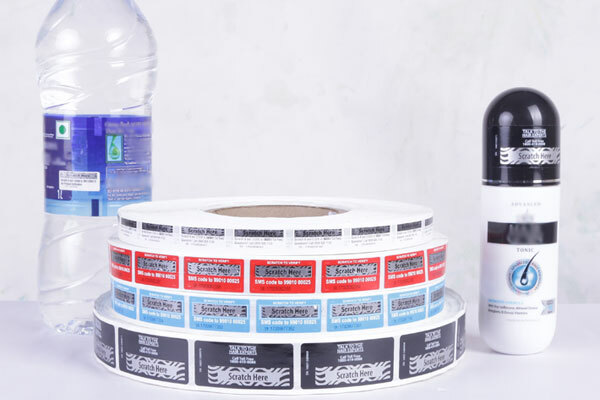 We provide eye-catching labels with scratch-off or peel-off portions that obscure a unique human readable code. We can also print scannable 2D data matrix directly on the product. 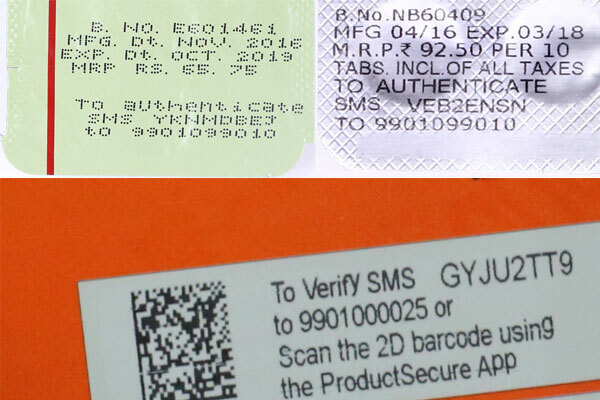 Consumers and others in the supply chain can verify these codes by a smartphone app or by sending a SMS. We offer Brand Protection, Consumer Loyalty & Engagement and Market Intelligence solutions to sectors such as : Consumer Goods / FMCG, Consumer Durables, Agri Products & Fertilizers and Auto-Components & Spare Parts, and several others. Traceability enables stakeholders to see the movement of goods across the supply chain. 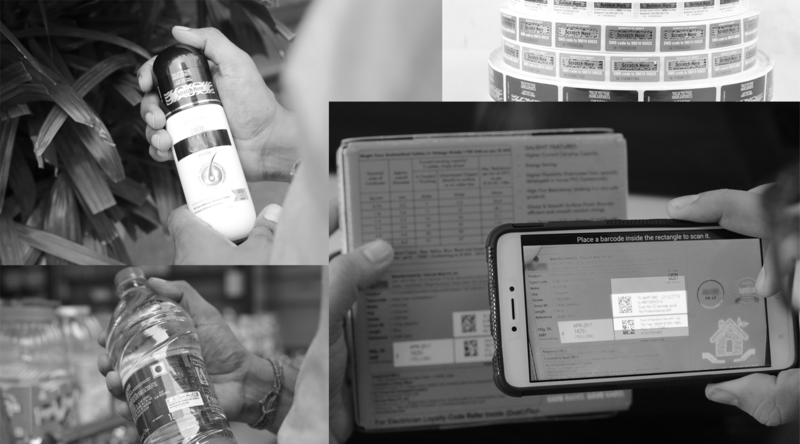 ‘Tracing’ enables backward visibility to identify the history of the transfers and locations of a product, from the point of manufacture onwards. ‘Tracking’ enables forward visibility to see the intended route of the product towards the point of care. 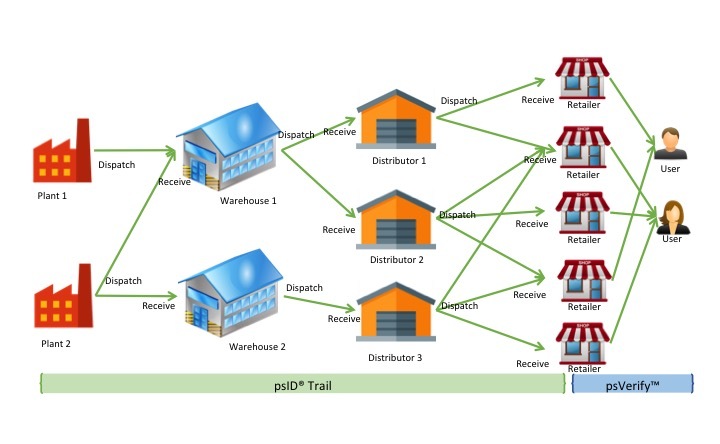 ProductSecure’s Track and Trace solution creates a chronological chain of events using industry standards to enable complete supply chain visibility and historical reporting. Loyalty & Reward programs are incentives designed to create loyalty among customers and to provide attitudinal or behavioral loyalty. Key points include finding genuine ways to rewards customers, differentiating the loyalty program from those of competitors, and continually reevaluating requirements to ensure continued customer engagement. ProductSecure™ is the division of PharmaSecure serving sectors as diverse as FMCG, Nutritional Products, Industrial Products, Electrical and Auto Parts, amongst others. Our vision is to protect products against counterfeiting by uniquely identifying each pack.